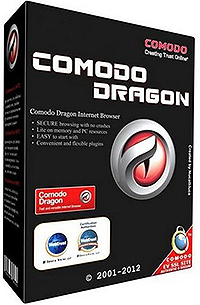 Comodo Dragon – a browser that uses the latest technology Chromium and amplifying them in a way to make the best browser for use in today’s Internet, plagued by malware. In this assembly integrated the extensions required to ensure the safety and comfort while visiting the web, blocking hype Express panel Speeddial etc. Comodo Dragon Security provides increased privacy, superior technology Chromium, a verification technology domains, which identifies and distinguishes superior SSL certificates from the lower, stops cookies and other Web spies, and prevents all Browser download tracking to ensure your privacy.